The Atlantic’s Christopher Mims and Stephanie Gruner Buckley this week published “5 Charts About Climate Change That Should Have You Very, Very Worried.” They note that recent reports by the World Bank and the Central Intelligence Agency provide further evidence of the threat posed by climate change. These threats range from rising sea levels, severe flooding, drought, and fire to terrorism, civil war, and massive food shortages. The picture they paint is bleak. Indeed, this has been a trend in recent coverage of climate change. Indeed, the its publication, the World Bank said its aim was to shock people into action by sharing the devastating scenarios that accompany climate change. Blogging at Huffington Post, Edith Lederer argues that Superstorm Sandy might motivate greater action on the part o the United States in addressing climate change. US leadership would likely be welcomed. 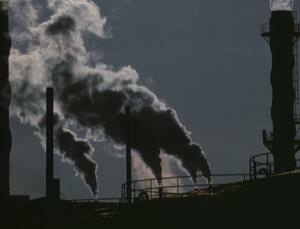 A new round of climate change talks are set to begin in Doha next week, and there is hope that—unlike in previous rounds—negotiators may be able to reach agreement on legally binding greenhouse gas reductions by 2015. Without active US participation, agreement appears unlikely, and any agreement would likely be ineffective. At the same time though, as Jordan Weissmann points out at The Atlantic, the United States alone can’t stop climate change. Chinese participation is also vital. And this gets at the heart of the issue. The scare tactics of the World Bank and others is unlikely to compel significant movement on the part of negotiators. Two fundamental principles mitigate against the possibility. First, global climate change is a classic example of a collective goods dilemma. All states will benefit from an agreement on climate change, regardless of whether or not they cut their own emissions. Given this, there is little incentive for states to agree to cut their own greenhouse gas emissions. Rather, the incentive is to free ride on the efforts of other states to cut theirs. But as each state responds to these incentives in the same way, the effectiveness of any agreement is undermined, and the collective well-being of all peoples (and of each individual state) is undermined. Second, the costs and benefits of greenhouse gas emissions is unevenly distributed. While the global north is historically responsible for the vast majority of greenhouse gas emissions, the global south bears the disproportionate cost associated with climate change. Again, this makes it less likely for countries like the United States to cut their greenhouse gas emissions. Despite a handful of voices claiming the contrary, the problem with reaching agreement on climate change has never been scientific uncertainty about the impact of climate change. Rather, it’s about interests and trade-offs Reaching agreement on climate change thus requires rethinking the cost-benefit analysis and the payoff structure for action or inaction. What do you think? Will negotiations to reduce greenhouse gas emissions and address climate change be successful? Or is the bleak scenario painted by the World Bank and others likely to emerge? Take the poll or leave a comment below and let us know what you think. This entry was posted in Uncategorized and tagged climate change, collective goods problem, greenhouse gas emissions. Bookmark the permalink.